Having been slightly disappointed with The Be Good Tanyas Warwick Arts Centre show earlier this year, the most important aspect of the 2013 Moseley Folk Festival was being given another chance to re-connect with this Vancouver based trio who had risen to such prominence in the world of folk roots during the millennium’s early years. 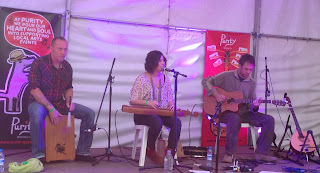 An hour and twenty minutes after they had set foot on the festival’s idyllic main stage, any doubts had been removed as Frazey Ford, Trish Klein and once again Caroline Ballhorn deputising for the recuperating Sam Parton gave a master class in how to deliver and interpret a mixture of classic roots material. 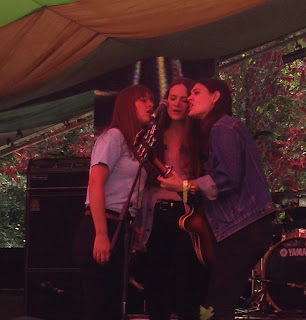 Whether delving into folk, blues, gospel or celebrating the music of Neil Young and Bob Dylan, The Be Good Tanyas supremely entertained a Sunday teatime crowd who were revelling in the reclamation of the festival’s genre after the eclectic headliners of the preceding days. There may have been references to some awkward folk banter but Frazey’s soul-laced vocals give the band an air of individual artistry and the mouth watering prospect of collusion with some of Al Green’s Memphis players on her future solo project will temper the prolonged absence of new band material. As if to further diminish the earlier experience, the return to the set list of the exceptional ‘Light Enough to Travel’ topped a festival highlight list that had combined the experimental with the familiar. This three day second city music extravaganza bearing the name of the famous suburb of its location brings a slice of urban grit into the enchanting surroundings of this private park complete with luscious green backdrop, vibrant natural lake and the sloping amphitheatre leading down to the pair of alternating stages. Unfortunately the Friday wasn’t attended this year but it is without doubt that the sell out crowd would have lapped up the sure fire success of the re-engagement of Ocean Colour Scene reminiscing their acclaimed 90’s album MOSELEY SHOALS. The weekend line up also flirted with a little loosening of the genre tag but any progressive element of a music style will always strive for freedom to release the shackles. 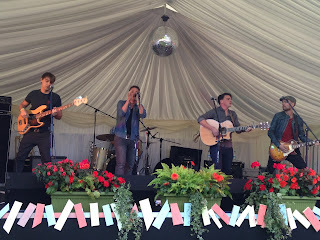 While three artists in The Dunwells, Jack Savoretti and The Staves were earmarked to check out on the Saturday afternoon, it would be difficult to argue against British Sea Power owning the second day with a highly entertaining and rousing display of gritty industrial urban indie rock. The quintessential foliage and eight foot bears add spice to the swirling anthems and introspective guitar sound tinged with a sprinkling of brass. While not for the purists and certainly laying the foundation for debate, British Sea Power continue to leave an indelible mark after many years of festival appearances. With the appetite for a touch of post punk eighties retro being satisfied with the headline performance of acclaimed Scottish artist Edwyn Collins, this review is better served by an analysis of the three acts mentioned in the previous paragraph. 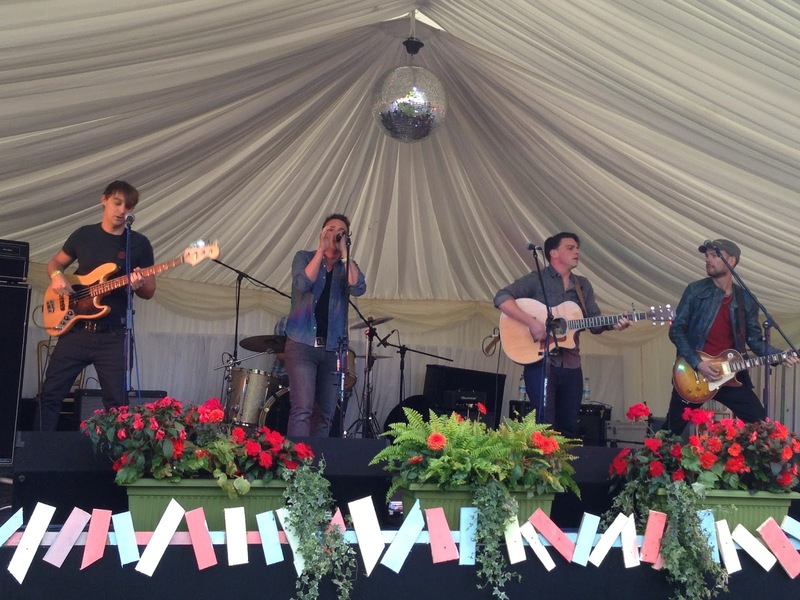 All three approach the genre from different angles with Leeds based band The Dunwells currently in the throes of some home festival appearances while taking a break from their stateside adventures. Having witnessed the band in Calgary earlier in the summer, this set re-affirmed the opinion that they have loads of potential and could develop into an eminent Americana rock band especially if they continue to absorb their US influences and not fall back into UK indie pop territory. Jack Savoretti recently came to my attention with the album BEFORE THE STORM which has the knack of refusing to eject from your CD player and while a solo folk festival appearance may not his natural habitat, the multi talent from this classy singer-songwriter oozed from the stage to be lapped up by his growing posse of admirers. Mean guitar playing and solid songs probably define the majority of his act although the appeal does extend into other territories. 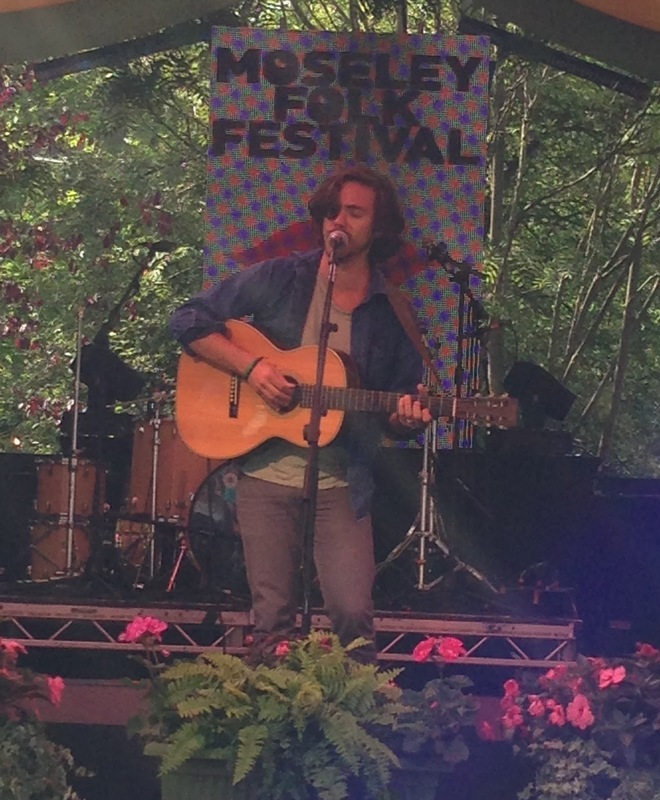 Getting to know the work of Jack Savoretti will ease the passage between genres and gave credence to the crossover nature of this festival. 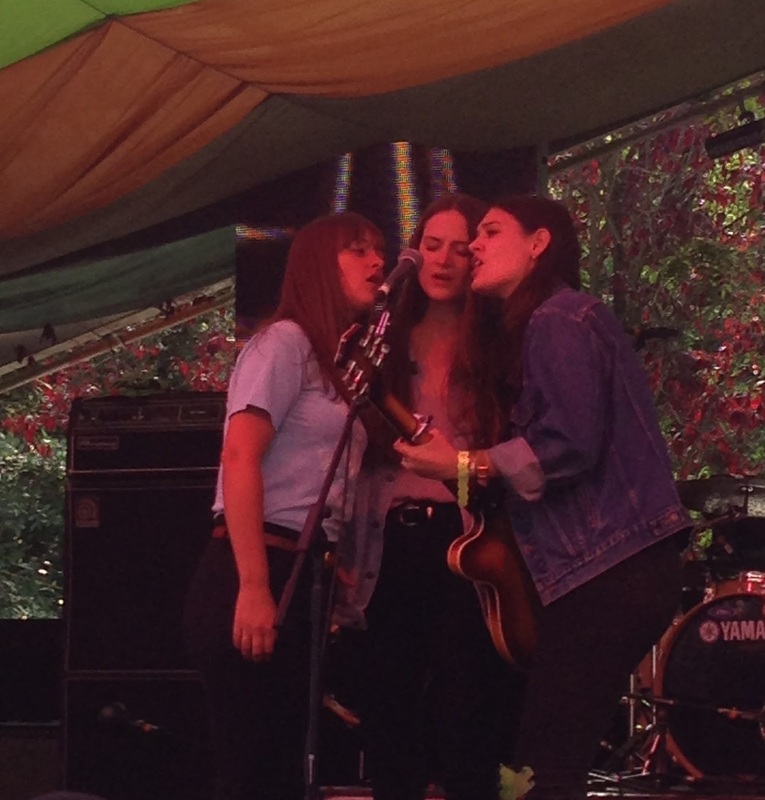 Hailing from the ‘gateway to north’ town of Watford, The Staves are an intriguing sibling trio who are making rapid strides in the emerging world of twenty-first century folk rock. The harmonies and roots bias to their core instrumentation provide one half of the package with the backing band adding the amplification. Sharing the stage with Mumford and Sons during their headline Glastonbury slot enhanced their summer exposure and while the core toolkit is in place perhaps a little development in the song construction department will aid the longevity potential. There was no denying their rightful place on the Moseley Folk Festival bill and they could prove to be key architects in the progressive side of the genre. 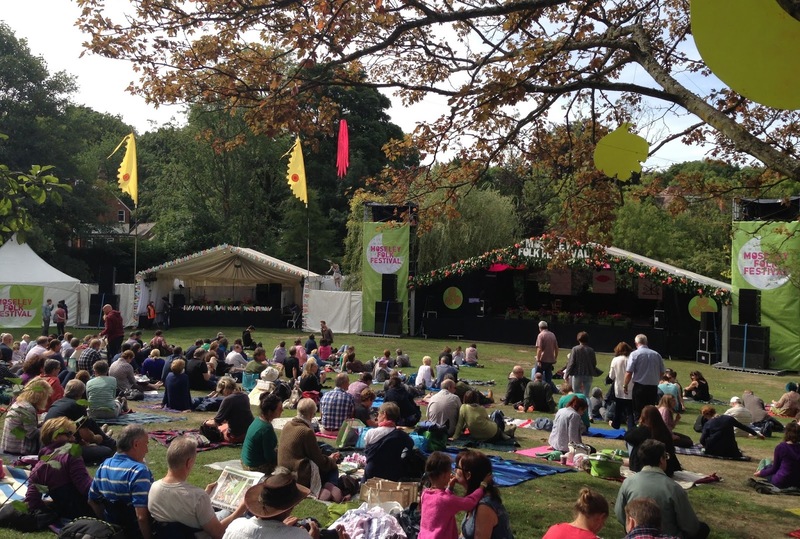 While the non-stop activity from the dual stages provides the festival focal points, it is well worth breaking off to visit the hastily erected third platform this year conveniently hosting local acts adjacent to the real ale bar. It was always the plan to catch the set of Kim Lowings and the Greenwood on Sunday afternoon and true to form the trio didn’t disappoint with their brand of contemporary and traditional folk. Plans are in place to give Kim, hailing from the cultural hotspot of Stourbridge, extended coverage later in the year but in the meantime why not sample her free track on the Fatea Showcase Sessions. It wouldn’t be a festival without the discovery of a new act and this year’s Moseley Folk Festival award goes to Canadian feel good fiddle, banjo, and bass et al combo Gordie MacKeeman and His Rhythm Boys. Carrying on the tradition of fabulous Maritimes Provinces roots acts, this band from Prince Edward Island (PEI to those of us getting into the lingo) gave a blistering performance of high octane stomping served with Gordie’s impressive tap dancing and a sound that encapsulated rockabilly, traditional and general fine good ole finger pickin’. The band are getting some positive press on this UK visit and their Moseley Folk performance will only add to this. 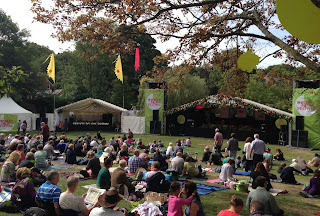 The festival finale from The Dublin Legends (formerly The Dubliners) was a relatively easy pick from the organisers as the combination of free flowing drink (well refreshingly priced just under £4!) and those fervently celebrating the city’s Irish heritage ensured the closing moments weren’t going to pass quietly. Prior to this crescendo of heightened passion, rising star Lucy Rose gave a main stage performance of a folk flavoured style which veers towards pop and rock with ample suggestion that bigger arenas and venues may be just around the corner. Once again apologies to the many other artists that either missed the review cut or were just plain missed as the omnipresent festival reviewer has yet to be created. 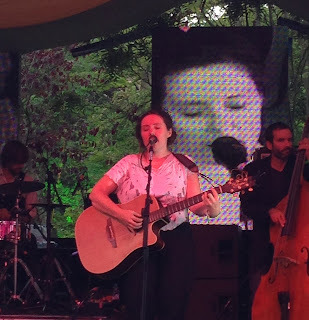 It is also pretty sure that the darling of the UK folk scene Kate Rusby will get plenty of coverage elsewhere of her mid Sunday afternoon slot. 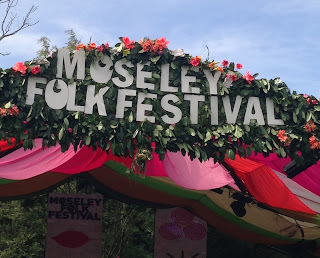 The set up at the established Moseley Folk Festival has tapped into a winning formula that ensures music lovers in the second city can round off their outdoor summer consumption with a high quality offering of sounds that will no doubt continue to push boundaries in the future.